Booking the Marcus Center and Sazama's for our wedding was the best decision we have ever made; we will never forget our experience with them. It was truly unbelievable. We had SO many guests tell us they were left speechless and they had never seen anything like it. From day one, [Sazama's] had gone above and beyond to ensure everything would go smoothly and would be exactly the way we wanted. The venue is stunning-from the Bradley Pavilion to having two other unique spaces for use; the Fitch Gardens and the private balcony overlooking the river. The service was like none other I have ever experienced at a wedding before (and I've been to A LOT of weddings) I couldn't believe how quickly they were able to serve a 5 course meal. The chef even allowed me to design the menu from my own ideas, and her interpretations on the dishes were beyond delicious. Our guests were absolutely blown away with the food. [Sazama's] was amazing during the dinner service and made sure we had everything we wanted. I cannot emphasize it enough that booking this venue will be the best decision you would ever make. I have some pretty high standards and the PAC and Sazama's team beyond exceeded them. Thank you again for allowing us to have our dream wedding! It would've never have been nearly the same elsewhere! I cannot recommend a place more highly than the Sazama's team at the Marcus Center for the Performing Arts. Everything about the process was stress-free and professional. It was clear that they had years of experience and dedicated staff. We did not have a wedding planner and we had a 230+ person wedding. [They] made sure every detail was thought of and attended to. [They were] kind and flexible and had a calming way about [them]. Planning a wedding can be stressful, so to work with people who are calm and know what they are doing is a huge help. [They] did so many extra steps for us, like coordinating place covers and setting up our decorations. Their pricing was fair and transparent, and they were easy to work with when customizing packages. Beyond the process, the day itself was perfect! I had guests say their steak was one of the best they've had- not just at a wedding but overall! The passed food during cocktail hour was delicious and the staff was great. Not one detail was missed. Somehow [they were] always nearby when I had a question and they were awesome at keeping things on time. They even brought cocktails to us from the bar so we wouldn't have to get up during dinner. The venue was so elegant yet the two outdoor spaces allowed us to have corn hole and giant Jenga during the cocktail hour and cigars during the band break. We had a fantastic plated dinner and Sazama's casual late night food later. They really had it all! The views of the sunset on river are so stunning and the long room meant tables were only two rows deep in front of our head table, so even though it was a large wedding, it felt personal. You could really tell they took pride in their work and truly wanted your day to be perfect - and ours was. I would give them 100 stars and recommend them again and again. Thank you for your tremendous help in making my daughter Rachel's wedding truly outstanding! You are an extremely competent, thoughtful, and a very kind and calming person to work with….a perfect combination for your profession! (and for life). Thanks also to the entire staff who were always “ Johnny on the spot”, to assist in all ways possible. His ownership of the event’s success was so apparent and made a huge positive effect on the evening. Also, all servers were very prepared, from bar to table, and were clearly focused on the providing great guest’s experience’s, I have received incredibly positive feedback from many of our guest’s regarding this. Your Chef’s food was spectacular, the appetizers, as well as the main entrees, were fantastic and definitely surpassed our expectations. You and your staff made incredibly great memories for my entire family and friends, and I am so very, very grateful! Please accept our thanks for all you did to make Gillian and Brock's wedding such a wonderful occasion! Your attention to detail and your calm, efficient manner kept the event running smoothly. The Bradley Pavilion was glowing, and the food and service were great. But more than anything, I appreciated the feeling that this couple and their wedding truly mattered to you. Best wishes to you as you go on to give other lucky brides and grooms their special days! I’d like to thank you again for all of your help on our Grateful Plate Gala last week. [Sazama's Fine Catering] was instrumental in the event’s success and I can’t thank you enough for all you did. It was a record-breaking year with a fundraising total exceeding $300,000. The impact we’ll be able to make in the community with that isHUGE. That being said, our committee and FAEW leadership is eager to host the event at the Marcus Center again next year. We sent out our feedback survey this morning and have already received rave reviews on the food. [Sazama's Fine Catering] was unreal! I can honestly say they will forever have a special place in my heart for all their hard work, teamwork and kindness they put into making our wedding day amazing! Lynn is the best most helpful and understanding person to work with - she was honestly like having a wedding planner and took over without me having to even ask which is everything you wish for on the week of and day of your wedding! I can’t tell you how many people said it was the most beautiful wedding they’ve ever been to hugely in part to [Sazama's] hard work ! I just wanted to extend a huge "Thank You" for your help with our event last night. Everything went off just great. The food and cocktails were excellent and the perfect amount, the staff was wonderful and gave us great personal attention. I will be sure to recommend Marcus Center and Sazama's to anyone looking to host an event. We appreciate the partnership. Just wanted to thank you for an incredibly special evening!! Everything was absolutely wonderful, from the appetizers to the wine to the dinner & dessert. Thanks for all you did to make it so memorable. And, thanks also to the wine experts, the chef and the servers. All really helped make it so special!! It was an evening that we will not forget! We’ve been married for 4 months and spent countless hours planning our wedding day. What do I remember? I remember the feeling of happy tears marrying my husband and dancing, but what do I remember feeling? I felt taken care of by the people that helped me plan one of the most special days of my life. The pictures didn’t turn out the way I wanted, my dress cut into my shoulder and the night went too fast but the little details, everything I had planned for months was executed with precision. My guests had a marvelous time, their food preferences were accommodated and the drinks flowed all night. It was a memorable night to say the least. I worked with [our Wedding Specialist] who stayed with me and kept me calm when the service was supposed to start at 5 pm and the minister wasn’t there at 10 minutes after. [Sazama's General Manager] brought us the alcohol-free chardonnay and champagne we had requested and when I was feeling a little tired, around 10pm brought me a coffee right away. They were available to my parents that were nervous about the night going smoothly.  They always say things won’t go as you planned and some sort of hiccup will happen during your wedding day… but any little bump we may have had was not in any of the things we had planned with Sazama’s Fine Catering at the Marcus Center for the Performing Arts. We had general ideas about what we would do for a favor and [our Wedding Specialist] made sure it was placed exactly where we wanted it. I said I’d buy a basket for the taffy we wanted to have out and [our Wedding Specialist] provided beautiful bowls for us to use instead. We were planning this wedding from Colorado and [Sazama's] always accommodated our schedule when we only came in for a few days to plan the big day. "Simply amazing! I cannot say enough great things about our experience at the Marcus Center. We worked closely with [Sazama's] from the day we toured the venue until the day after our wedding. I honestly felt like I had a wedding planner because [they were] so hands on. I was blown away by Sazama's/The Marcus Center's ability to provide what we wanted, how we wanted it, and with smiles on their faces the whole time. Food - Our guests told us night of and are continuing to say "it was the best food I've ever had at a wedding." We chose package #3 which was awesome because it included appetizers, entree, AND late night food. The staff allowed us to rearrange things so that we could get the food we wanted, it was absolutely wonderful! Venue - Such a beautiful space! Between the two outdoor areas and the ballroom, there are plenty of options for pictures and for your guests to escape to if they want some air. The hall itself was simply beautiful. I would recommend everyone and anyone to have their wedding or an event at the Marcus Center. I was never stressed out and I owe that all to Sazama's. Thank you for a perfect night!!! Its been more than a week, and I've finally gotten back into the swing of things at home and work. I realized how big of a role you and Sazamas had in our wedding. Words cannot express how thankful Nikhil and I are to you! THANK YOU for helping us get through the year. I know we have troubled you multiple times in the past months, but you never showed it out. Instead you helped us more than we could have ever expected. On behalf of the Tomy and Gandhi families, we sincerely thank you and your team for organizing such a beautiful event for us. It was the first wedding in both the families, and you helped make it exceed all expectations. We owe you a big one. Best Wishes to Sazamas and the Marcus Center for more such successful events in the future! I was absolutely DELIGHTED with how everything went. We received MANY compliments on the food….I thank you so much for everything. I could not have hoped for anything more. David and I were both SO pleased….as the day progressed we continued to feel better and better and that we had made a very wise choice in selecting Sazama’s and the Marcus. Such a wonderful memory for all of us….and we owe so very much to you, personally. Thank you. I cannot thank the entire Sazama's team enough for helping us reimagine our fundraiser and create a wonderful evening for our guests. Your attention to detail, enthusiasm, attentiveness, flexibility and willingness to go the extra mile was amazing and sincerely appreciated. We will be back again and would refer your venue and staff without hesitation. The celebrants as still basking in the glory!! [I'm] still talking and thinking about the party. [Guests] said they’ve received NUMOROUS emails stating what a wonderful facility [The Marcus Center was] and about the fantastic food and service. I owe it all to you. Thank you so much. Kim L. Professional Audio Designs, Inc. I wanted to be sure to thank [Sazama's] and all the people working with you that made our event so very successful. I have received a great deal of very positive feedback [about] the wonderful food, great venue, an attentive and welcoming staff, etc. We could not have had a successful outcome without everyone’s efforts and they are extremely well appreciated. Everything was perfect and the room was beautiful. The setup was absolutely perfect with the chairs/presentation on one end and the food/mingling on the other, with lots of room to move around. Thank you so much for all your help, patience and guidance for this non-technical person. Please pass along my gratitude to everyone. Your venue is at the top of my list for future events. Again, thank you and I hope you have a wonderful holiday season. Mary S.Aurora Health Care, Inc. Thank you again for a lovely evening for our dancers. We truly appreciate everything you and your staff do to make the evening so special. I just wanted to thank [Sazama's] again for everything on Saturday. You and your staff are great to work with and always ensure that any event will run smoothly. Thank you again! The [Sazama's] staff, service and ambiance was everything we could have asked for and more!!! [They] made us a priority from the day we met throughout the entire wedding planning process. [Their] responses were quick and [They were] always one step ahead. We cannot express how incredibly happy we were with everything and would highly recommend [the Marcus Center for the Performing Arts] to anyone looking in the Milwaukee area!! The Marcus Center was a great location for our wedding. They were very helpful and knowledgeable for all aspects of the wedding. [Sazama's] was great at answering our questions that arose throughout the process and even helping with some last minute changes. We had amazing service on the day of our wedding. No lines at the bars, prompt food service, and amazing attention to details. When we arrived at the venue and I had a hair and dress emergency. Lynn, Karin, and Keith were right there to help pull everything back together. I could not have asked for better support! I was pleasantly surprised to see the [General Manager] assisting with service during dinner, definitely not something you get at other venues and really made us feel special. The food was amazing! We heard wonderful reviews from our guests and felt exactly the same! You simply cannot get a better location, food, and service. The best part is their pricing is extremely competitive, everyone assumes with such a gorgeous venue and amazing food and service it is going to cost a ton, but the reality is they are so smart with their pricing and packages so that they can work with all budgets. Highly recommend!! My daughter's wedding reception was at the Marcus Center for the Performing Arts on 8/13/16. We can't say enough about the experience. From our first tour of the venue to picking up our decoration the morning after the wedding, everything was perfect. The Bradley Pavilion and Fitch Garden were beautiful. We loved having the cocktail hour in the garden. The food was amazing! We got so many compliments. [Sazama's was] absolutely the best! Their staff made it so easy for us. We would highly recommend this venue and I would gladly work with [Sazama's] again for any event. On behalf of the Milwaukee RiverWalk District, and myself, I want to thank you and your team for the over-the-top service and delicious menu you prepared for our 25th Anniversary Jubilee on July 20th. The event was a big success, and you and your team made it possible. Everything was perfect! The Marcus Center and Sazama's staff made sure my day was perfect. They were very organized and efficient. They ensured that I was able to soak in every moment of the day, relax, and enjoy the celebration. My wedding day was stress free and flawless! Highly recommend! We were blown away with the quality of service from the Marcus Center! We worked with [our wedding specialist] throughout the whole process, and she made everything absolutely stress-free. It was like having our own wedding planner for the reception. She was very quick to respond to all of my emails (even if it was a question about a very small detail) and I always felt like they were willing to accommodate exactly what I wanted for my wedding. They offer package options for meals, but things can be substituted or slightly altered to fit exactly what you want for your day. I would highly recommend using [Sazama's]. It took a lot of stress out the planning the reception. Thank you for all of your help in planning our wedding. You truly made the experience an easy and enjoyable one! Best Wishes, Bailey and Kyle. Thanks so much for your leadership on the Broadway Bash Planning Team. I really appreciate your expertise and value your input. Thanks again for obtaining the vendor sponsor for the event, too. It is a great help! ? EVERYTHING. WAS. PERFECT. Just flawless. Best day of my life. Couldn't have done it without you and your team. You are truly amazing at your job. I'm sending you a big hug right now in this email. Greg [at Sazama's] doesn't seem like the type of guy to really enjoy big, tight hugs, but give him one for me anyways. ? Thanks for everything. I'll keep in touch from time to time. I will miss you too much, otherwise. THANK YOU FROM THE BOTTOM OF MY MARRIED HEART! WE GOT MARRIED! I just wanted to send a follow-up email to thank you for taking such great care of us in March when we had our meeting in Milwaukee. We certainly appreciated the care and attention to detail and the venue was lovely – so nice to have natural light. It was also interesting for me to see how much people are ‘into’ live theatre in your city! Thanks again and your efforts were appreciated! Cheers! As a newly married bride, I could not have been happier with choosing the PAC for our reception venue! Our main contact, Keith, was extremely professional, knowledgeable on every question we threw at him and very prompt on email responses (we grew to really appreciate that!) Nothing was unattainable and he put us at ease through the whole planning. We got many compliments on how much fun the evening was and how attentive the staff was. You can see the pride in their work! Very happy to say our wedding memories were made at the Marcus Center! Thanks again to Keith and staff!! I recently was married at the Marcus Center where we did our ceremony, cocktail hour, and reception. Lynn, Keith, and staff were incredibly helpful and accommodating. Lynn helped coordinate all of the details leading up to the day and was so helpful with day of setup that I was able to easily plan and complete all day of tasks without a wedding coordinator (just help from Lynn and a few family members), and I am not a local bride. It's a testament to the great venue and staff. Our guests were so impressed with the Marcus and Sazama's staff. They loved the outdoor ceremony in the Fitch Garden, which was intimate and picturesque. The food was also incredible and we received so many compliments on both it and the amazing service that accompanied it. I could not have been happier with the day, the venue, and - I can't say it enough - the fantastic service. This venue is also so centrally located that it is very, very convenient. We had many out of town guests who were able to fly in and stay close enough that no car rentals were necessary. We planned a weekend's worth of events in the area around the Marcus (all walking distance) and all guests were so impressed with the downtown area. There is a ton to do and many places to stay which was a big benefit for our traveling guests, most of whom had never been to the area and didn't know what to expect from Milwaukee. I would highly recommend this venue - absolutely fantastic experience and day. Thank you Sazama's team!! The PAC is the most beautiful hidden gem in Milwaukee to host a wedding. With sweeping windows overlooking the Milwaukee river and gorgeous wooden floors, you have a great blank canvas to make the room your own. You also get the chance to work with the most fantastic wedding coordinators - Lynn, Keith & Karin. They make the planning process as stress free as possible and bring the reception all together seamlessly. Would tell anyone and everyone to consider the PAC. My husband & I had our wedding reception here on October 3rd. We had an amazing experience working with Lynn / Sazama's. Leading up to the wedding, we had no trouble getting in touch with her to answer our questions. She was extremely flexible with scheduling our food tasting as well as anything else we wanted to stop in to discuss or review. The night of the wedding was perfect. The room looked amazing, Lynn & the rest of the Sazama's staff were around, available, and extremely attentive for the entire night. Octoberfest was going on outside the night of our wedding, but if I hadn't known in advance, I would have had no idea... We truly felt like the only group there! I did not work with a wedding planner, and I am very happy about that decision... It would have been a waste of money, as Lynn ensured that everything went smoothly & according to our timeline the night of the wedding. The night was perfectly seamless & stress free. She worked really well with all our vendors.... band, bakery, florist, etc. The food was absolutely delicious as well, and we got a lot of compliments from our guests about the food... hors d'oeuvres, entrees, and late night snacks. Lynn was extremely accommodating of all of our requests... We had a specific room set up in mind which was very important to us, even though it was not the typical set up of the room. She was so easy to work with in order to get this to work out as we hoped & we loved the ultimate set up of the room. We also provided complimentary parking for our guests in the parking structure. We sent out a note with our invites that this would be the case, but forgot to tell Lynn until the Thursday before our Saturday wedding. She took care of everything for us, even with the short notice & our guests had no problems whatsoever. Myself, my husband, & my mom all would highly highly recommend Sazama's & the Marcus Center for a wedding reception & we would not hesitate for a moment to use them if we had to do it over again. We had an amazing experience & it was the perfect evening... Everything we had hoped for and more! Thanks to the entire staff at the Marcus Center! From the wait staff to Lynn and Keith, everyone was professional and went beyond our expectations. As mother of the bride and planning for our first child’s wedding, I initially felt overwhelmed. Lynn’s calm demeanor and obvious experience guided us through the process of a beautiful reception! The food was fabulous! It was hot and the guests raved about the appetizers and the main course. Pick up of table decorations (lanterns and candles) couldn’t have been easier the morning after the reception. Everything was packed and ready to go. Our wedding was July 25. We visited 9 different venues in the Milwaukee area and decided the PAC was the best fit. Living in Washington DC we needed a location that met our need to bring DC to Milwaukee, was accommodating to planning a wedding from afar and was a good bargain for our 250+ guest list. We also needed a one stop shop for ceremony and reception location. From the first tour we were sold. Lynn Brueggemann, the Events Manager was PHENOMENAL. We were treated with such respect and personalized service from the moment we walked in. After we decided to move forward with PAC things only got better. The ability to customize our day in any way we wanted was so critical. At our tasting, they even allowed us to try a cuisine that wasn't on the normal menu. Lynn was so helpful, thoughtful, and proactive in every step. There were so many things that I struggled with figuring out how I would pull off, then I would run it by Lynn and she would say no worries, we can handle that for you. Everything was seamless, to the picking out of linens, setting up the room, other vendors accessing the building. I even reserved the green room for the bridal party to get ready that morning. The continental breakfast and mimosas were amazing. There is no shortage of incredible photo opps within walking distance. The venue was absolutely beautiful, we received so many compliments on the food, the service was impeccable. My husband and I continue to talk about how the day turned out more perfect than anything we could have imagined. I would definitely recommend PAC as a venue. With the service, prices, and Lynn you cannot go wrong! My wedding was this past Sunday and was the best day of my life. I received so many compliments on how beautiful the venue was and how amazing the food was. Everyone I talked to said it was the best food they had ever eaten at a wedding! The detail that the staff at the Marcus Center put into my wedding was outstanding. Working with Keith put my mind at ease and any request I asked of him, he executed flawlessly. I cannot say enough good things about Keith, Karen and the staff at the PAC. I would definitely recommend this venue to anyone who is looking for an amazing, out of this world experience. I did not have to worry about a thing, because I knew it was being taken care of. Thank you so much to Keith and the rest of the team, my wedding was fabulous! This is a long overdue compliment of Keith Aspinwall and his staff (Karen Hurley) and all. My daughter's wedding (Lauren Reiter and Andrew Glaser) was September 5, 2015. It could not have been more perfect and Keith and his staff were amazing. Every detail was taken care of. He was insightful and prepared every step of the way. And, the food was fabulous. Our guests were very, very impressed as were we! Thank you for living up to and exceeding our expectations. When my other daughter plans her wedding, I hope she chooses you! "As soon as I walked into the Marcus Center, I knew this was the venue I was going to get married in. We had our ceremony in the Anello Atrium (we processed in from the two staircases, which added drama and anticipation!) and then had our reception in the Bradley Pavilion. Everyone at the wedding had such an amazing time - they were able to go outside to the Fitch Gardens and out on the beautiful balcony that overlooks the river. Many people at my wedding had never been to Milwaukee before and they absolutely loved the view and the ambiance. I worked mostly with Karin at Sazama's and she was so patient with me - I changed our contract about a million times. She really made sure everything was perfect for the big day. I'm so glad we picked the Marcus Center - multiple people told me it was the best wedding they'd ever been to!" "The venue itself is amazing... huge room with floor to ceiling windows, wood floors, views out over the Milwaukee river and Pere Marquette Park, just to name a few. And the staff is wonderful too... our wedding coordinator was super helpful and was always prompt in getting back to me when I had questions. The night of the wedding, the GM was there to make sure that everything was perfect, and the wait staff was very professional. Everyone knew what they were doing and it made our day so easy and stress-free!" "Our wedding was this past Sept. 2014. Throughout the planning process I never felt that I couldn't ask questions. I always received kind, courteous, and timely feedback. This made me feel very confident from the beginning. The wedding itself did work out beautifully. Throughout the night I cannot say enough about how much the staff did to make sure everything was perfect. Everyone attending complimented the venue and staff and I couldn't help myself from saying over and over how amazing everyone was during the process and that day. The room looked amazing and everything was set up on time and exactly as we planned. Hands down, pick this venue for your wedding! Everyone has heard of wedding nightmares, you won't have one here!" "We recently had our wedding at the Marcus 10/2014. It was the most amazing experience. The staff at the PAC is extremely professional and knows what they are doing. Karin assisted us with all of our needs and she responded to every email, question, and request with promptness! She was so easy to work with and had amazing ideas to help make the venue look gorgeous on the actual day. We couldn't have done it without her. Sazama's food is also amazing. We received nothing but positive reviews from our family and friends about how great their meal was. They will accommodate you and all your guests to the best of their ability and they truly mean it. The space is beautiful and offers fantastic views of the city along with some additional outdoor space to get some fresh air take a breather or smoke a cigar :). The PAC truly was the space for our dream wedding and we would recommend it to anyone." "The big day is a month behind us but we are all still beaming with happiness and memories of the beautiful day. Lynn and all the staff at the Marcus Center were amazing. Their mantra from day one was, " It is your day and we are here to make sure it is exactly what you dreamed it to be." Lynn and the entire staff were professional, timely and accommodating. It was a pleasure working with all of them. The Chef was amazing! All of our guest commented on how delicious everything was from the appetizers to dinner to the late night snack of Saz's fries, sticks and sliders! The wait staff were engaging and friendly. Truly a day to remember that would not have been possible without the great people at the Marcus!" "Our wedding date was 9/13/14. We served dinner to 260 guests at this venue, which at first felt very overwhelming for me… however the team at Sazama’s took me under their wings, and assisted me and my husband throughout the process to make for a very streamlined and beautifully elegant evening. For starters, we met with Lynn from Sazama’s, and she is wonderful with asking questions to help us figure out how we wanted the evening to flow. We had a wonderful menu tasting, and even had some custom menu options made to accommodate our dinner selection. Lynn assisted us in coordinating with the linen company to select the linens for the room as well. She was always available by phone and she was so wonderful to work with… as was the rest of the Sazama’s Fine Catering team. On our wedding day, the room was set up absolutely beautifully. Lynn was there from beginning to end, making sure we were okay, and making sure things went smoothing. Thank goodness her team is quick thinking, because we did have a problem…. The DJ. Our DJ was supposed to be set up for cocktail hour, and he couldn't get his equipment to work. Sazama’s had their own soft cocktail music playing for us while the DJ was scrambling to figure out his equipment. Sazama’s also gave him a microphone to use, and assisted with music for the dinner portion of our wedding. Finally, after a couple hours the DJ got up and running. This was very stressful for my husband and I. We found comfort in knowing the Sazama’s staff was prepared for ANYTHING!! They literally saved our wedding. The dinner was delicious. The venue was absolutely beautiful. The staff amazed me. Over a month later, we are still hearing from our friends and families how wonderful the food was/ the venue was/ how much fun everyone had at our wedding!! I am so happy we had our wedding at the Marcus Center for Performing Arts, as I cannot imagine a more perfect place to celebrate our nuptials with our family and friends. Bravo Sazama’s!! You were outstanding!!"